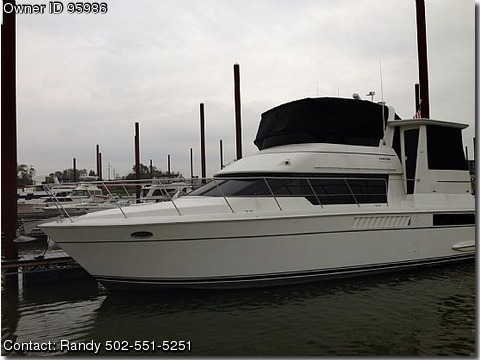 meticulously maintained Carver 455 Aft Cabin Motor Yacht. powered by a pair of Cat diesels. the seller has recently made many numerous nice updates. salon all on main level. You simply will not find a cleaner boat. Angels Envy is an excellent example of an all Fresh Water kept 455.
a wonderful vessel for the loop. new canvas and isinglass this year and new bottom job in 2012.
cabin you owe it to yourself to take a look at this one.Please call or email for complete specs.